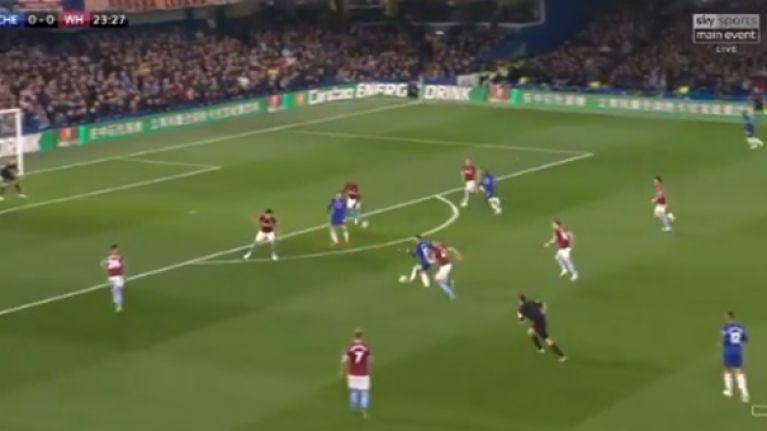 Chelsea winger Eden Hazard scored one of the goals of the season against West Ham United on Monday as the Blues look to keep their top four hopes alive. A win for Chelsea would move Maurizio Sarri's side up to third place in the league and Hazard's silky opener has got the hosts off to a flying start at Stamford Bridge as he skipped his way past Mark Noble and Declan Rice before leaving Angelo Ogbonna flat-footed. Tottenham are among the favourites to finish inside the top four given that they have four home games from their final six matches but Hazard was quick to highlight that Chelsea still have title winning experience. “I think Tottenham for two or three years have been one of the best teams in England. That is for sure. “We are Chelsea, and it is a big derby. I don’t like that to be fair but we have to accept it. For the Premier League it is good – new stadium, they have top players.